As you guys know I love wearing Jordan’s shirts, his wardrobe is just as much mine as it is his. 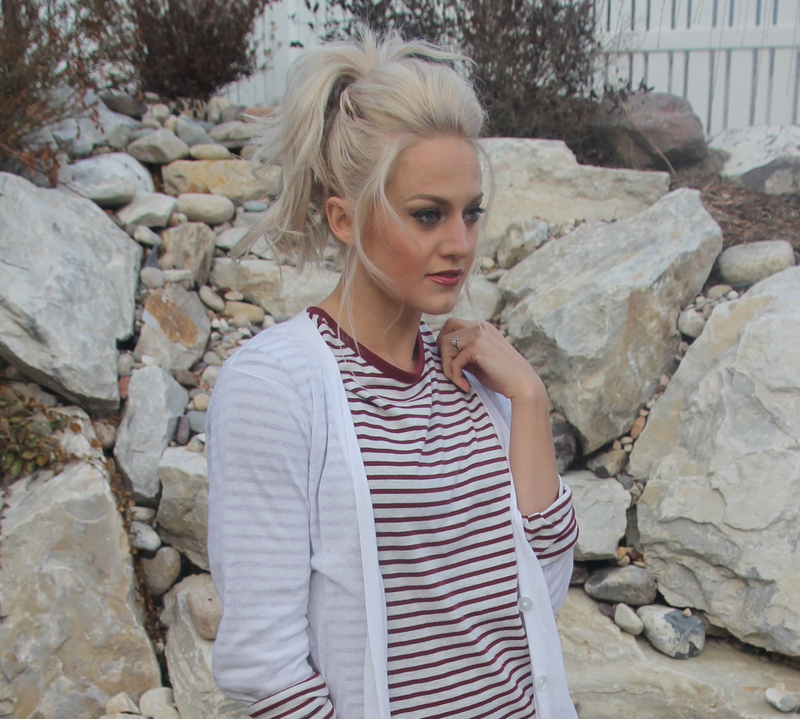 I love wearing over sized shirts they are SO cozy, it is also so fun for me to dress them up girly. These leather leggings are such a classy feminine way to dress up a casual outfit, you can find a variety of leggings at this boutique. My next purchase from them are going to be their harem pants, they are so stinkin cute you will have to check out their pant selection. With these leggings, classy stilettos, and a gold cuff bracelet I have turned this baggy boy shirt into a classy casual outfit. Hope all is well talk soon, chow! 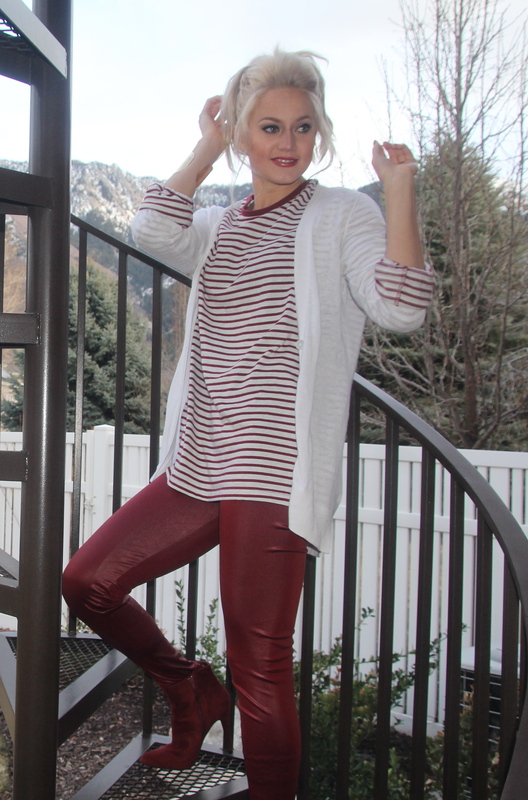 LEATHER LEGGINGS: ourworldboutique Did I mention they are on sale!?! Loving your bracelet! We have the same theme on our blogs! Oh thanks! Great minds think a lot! I am loving the burgundy outfit. Those pants and the booties are fabulous! You look so pretty!!! I can’t believe you can wear Jordan’s clothes. Lol! I wouldn’t be able to look stylish in Tyler’s clothes. They’d drown me. You[re lucky you get two closets to choose from! I know right? Crazy, it’s so fun.